The recently announced iPhone 4S will be available not just for AT&T and Verizon, but also for Sprint. This means that for the first time, an iPhone will be available on three of the four major U.S. carriers. The iPhone 4S has a few notable improvements over the iPhone 4, like a faster dual-core A5 chip and an 8-megapixel camera that is capable of 1080p HD video capture. If you're a Sprint customer, you might be happy that you have an iPhone at all, 4S or not. 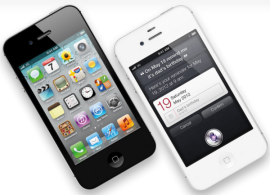 As far as we know, the iPhone 4S will have the same hardware across all three carriers because of a dual-mode CDMA/GSM chipset that gives it global cellular coverage. But just because it's the same hardware doesn't mean you'll get the same experience across the board. Carrier coverage fluctuates from region to region--AT&T might have poor performance in San Francisco, but great signal strength elsewhere. Data plans are different for each carrier, too, as is customer service and early-termination fees. Be sure to consider these points as you make your decision.